On Thursday, the counter moved up nearly 3 per cent to Rs 375 levels in intra-day trade, as compared to 0.6 per cent rise in the S& BSE Sensex and 0.7 per cent up move in the S&P BSE Bankex. Despite the fall in ICICI Bank’s net profit for the third quarter ended December 2018 (Q3FY19) and the outcome of probe against its former chief executive and managing director Chanda Kochhar, analysts remain bullish on the stock from a long-term perspective. A probe panel headed by former Supreme Court Judge B N Srikrishna found Kochhar in violation of bank’s code of conduct in the Videocon loan case. Based on the findings of the report submitted on Wednesday, ICICI Bank decided to take back all bonuses given to Kochhar between April 2009 and March 2018, and also revoke all benefits and stock options. Analysts say though the internal probe report and ongoing investigations relating to past events may remain an overhang in the near-term, they are unlikely to derail the bank’s long-term re-rating story. “While we are not privy to the content of the enquiry, the Board decided to claw back / revoke all entitlements, which beyond the individual harangue and vilification, is also worth a lot of money; just the outstanding stock options as of March 2018 were 16.78 million, which may have a nominal worth of $30 to 50 million (net of purchase price). Fear of legal options being pressed from both sides, pulling in current / past executives, and which at best would be a nuisance and noise, to a worst-case situation of digging out unpleasant issues and being a drag to the stock price,” says Nilanjan Karfa of Jefferies in a co-authored report with Harshit Toshniwal. They maintain a ‘buy’ rating on the stock with a price target of Rs 450. Meanwhile, ICICI Bank's net profit slipped 2.7 per cent to Rs 1,650 crore in the December quarter (Q3FY19), as provisions rose 19 per cent year-on-year (y-o-y) to Rs 4,244 crore. The gross non-performing asset (GNPA) ratio for the quarter, on the other hand, improved to 7.75 per cent from 7.82 per cent y-o-y. “Levers are in place for continued traction. We remain convinced about the bank’s ability to capitalise on the credit up-cycle and expect management to achieve its near-term RoE (return on equity) target of 15 per cent. We retain our Buy rating, but raise our sum of the parts (SOTP)-based target price to Rs 410 from Rs 370 earlier,” wrote Aalok Shah and Gaurav Jani of Centrum in a post results note. Over the past one year, ICICI Bank has outperformed at the bourses despite the negative newsflow and moved up nearly 3.5 per cent during this period as compared to a fall of 1 per cent in the S&P BSE Sensex and a 2.5 per cent drop in the S&P BSE Bankex, ACE Equity data show. 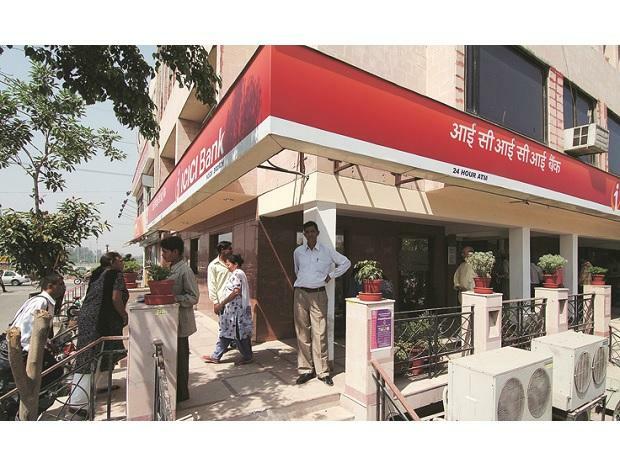 “ICICI Bank is well-geared for the next cycle with improved traction in quality asset growth, robust CASA franchise, efficiency gains and improved net interest margin (NIM). The earnings consistency with balance sheet de-risking instils confidence. Improvement in core operating metrics improves visibility on 18 per cent RoE by FY21. We revise our SOTP-based target price to Rs 452,” said Kunal Shah and Prakhar Agarwal of Edelweiss Research in a post results note.